Diddy and DJ Khaled are sharing their personal stories to empower the next generation of entrepreneurs. Sponsored by CÎROC Vodka. As a hugely successful recording artist, producer, and entrepreneur today, Sean Combs has certainly come a long way from his childhood days in Mount Vernon, New York. After celebrating the 20th anniversary of Bad Boy Entertainment earlier this year, Diddy is now passing the torch to the next generation of rising entrepreneurs. In a short inspirational film from CÎROC Vodka, Diddy introduces his new #LETSGETIT campaign, which encourages emerging creators to follow their dreams. Directed by Zachary Heinzerling, the clip features a montage of Puff Daddy's journey to success while the mogul explains how hard work and determination were the major keys. "Everything I'm living now, I dreamt about it. 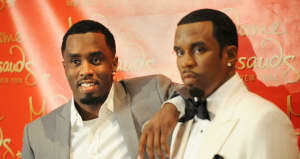 I knew that I had to work hard to get it," Diddy narrates. "My mother, she had four jobs. By seeing her work ethic, it was instilled in me at an early age. From me not giving up, the opportunity arose." Watch the uplifting video above. "I've been going through a transformation over the last couple of years," Diddy explains. "I started realizing that the power that I had just wasn't for me. It's about empowering other people and being that platform [for them]." Watch the full talk below.